The fifth principle. Family physicians as advocates. You are going to email the following The fifth principle. 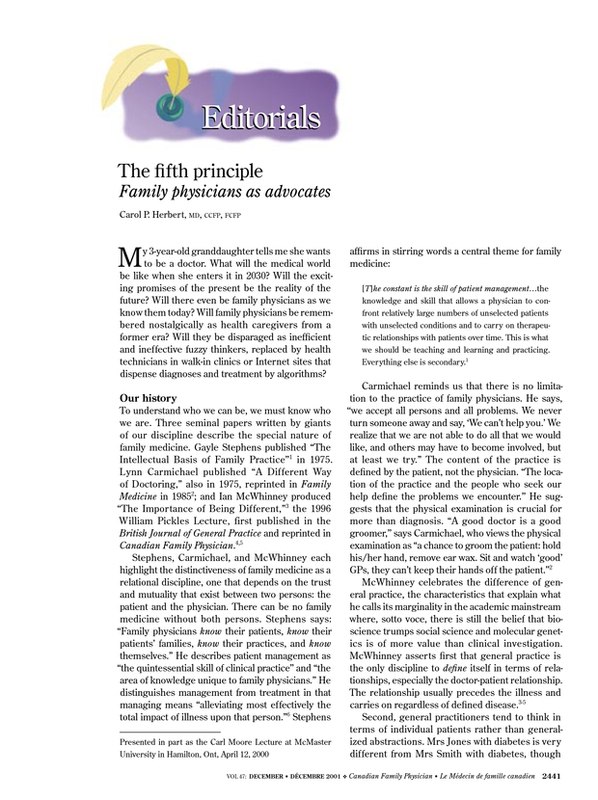 Family physicians as advocates.